My dad died in 2002. My mum still gets mail from Christian ministries addressed to him, requesting money. She informed them of his death at the time. It seems like once you send money you’re on their list forever. A friend of mine is still getting mail requesting money addressed to her husband who passed away in the 1990s. Who knows? You may find inspiration for a blog post or two from the stuff they sent. 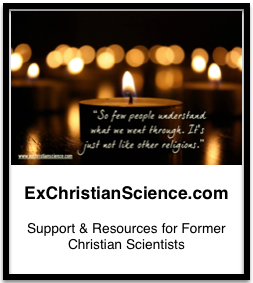 I sometimes wish I’d kept a little bit more of the resource material I once had for research with my blog. 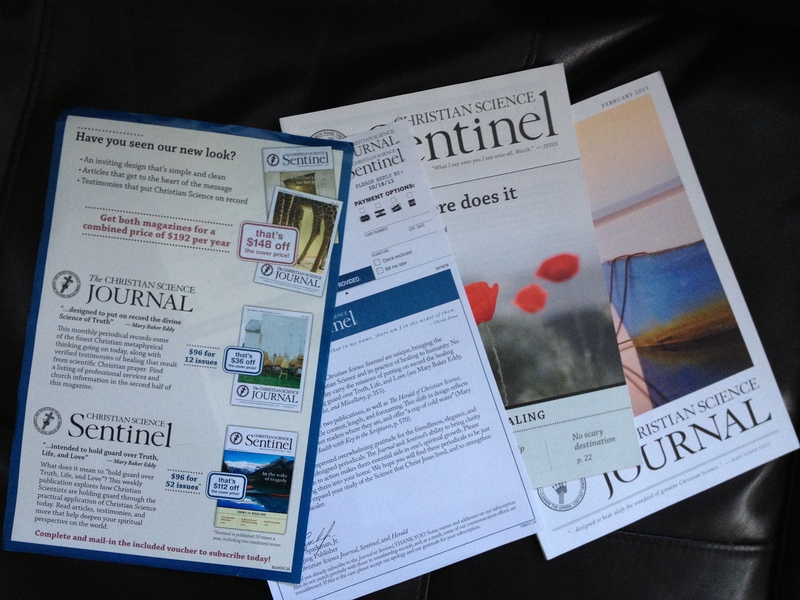 I still have some stuff, and feel conflicted sometimes between my desire to keep it for blog research purposes, and my very strong desire to purge my home (and life) of anything connected to Christian Science. Right now, it sits in a box at the back of my storage room…out of sight, but not out of mind. I agree…yes, we all need to move far, far away from it. I’ve been divided over what to do with that little (well not so little) box in the storage room. Now, I’m thinking once I’m ready to do the Fall clean-out-put-the-summer-stuff-away jamboree, I think much of it will go to the dumpster. Might be a good opportunity as well to begin to move the blog away from CS, as I have moved myself away from it and focus more on life as I live it now. Always good to re-think stuff, and clear out the clutter of the past.